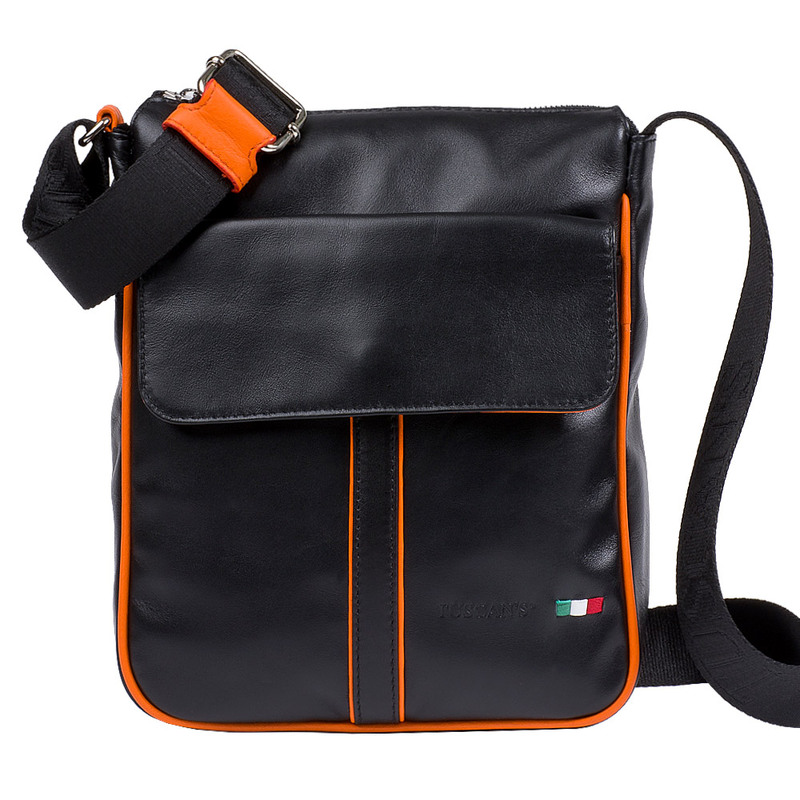 Fuksas is a captivating sling bag with a contemporary design, made of full grain leather and characterized by vertical details coming in various colours, in this case ice ones, underlining its simple and practical lines in a minimal fashion. 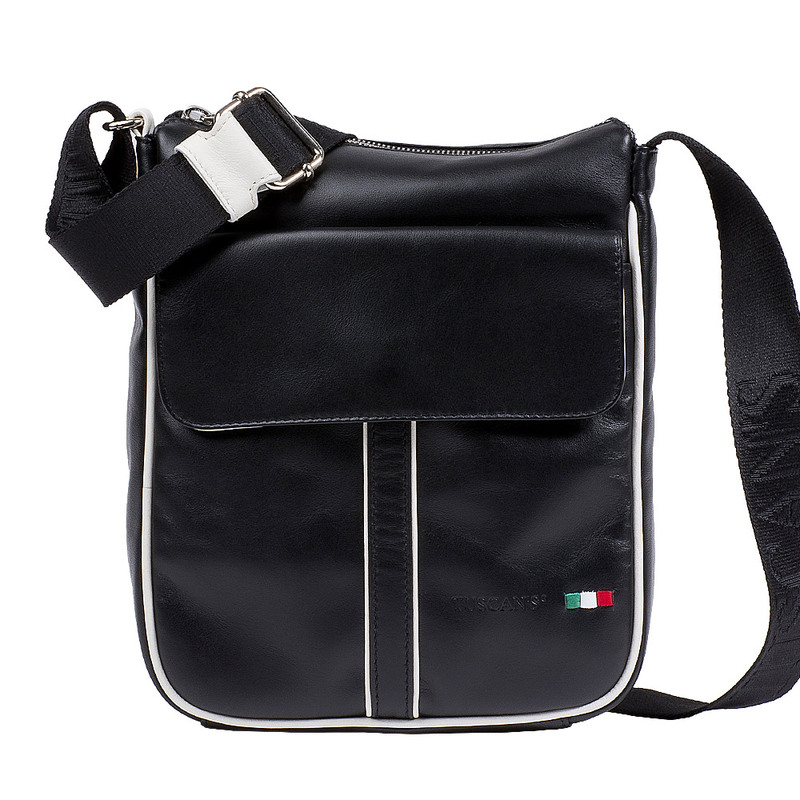 The front pocket having a magnetic closure, it’s the ideal to place your cellphone, keys or other small belongings. 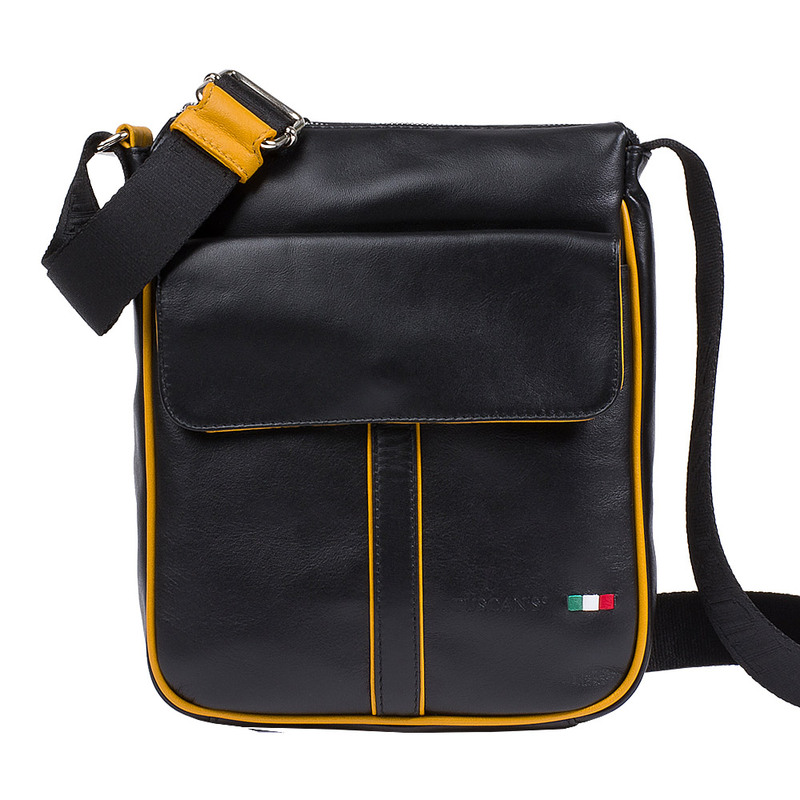 The interior consists in a unique compartment and has a penholder and a zipped pocket. 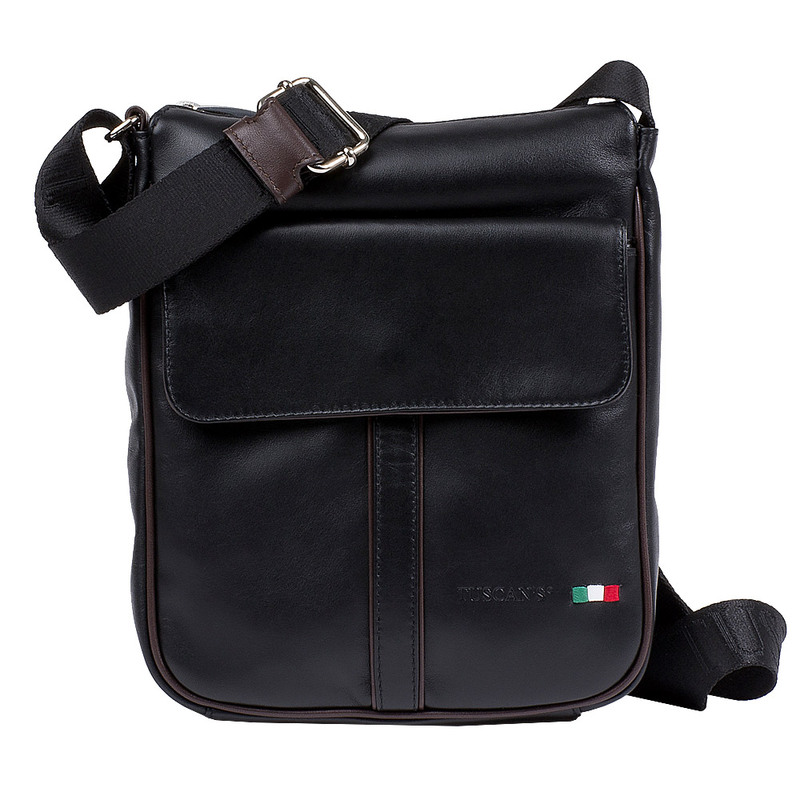 A typical characteristic of Tuscan’s bags is the earphone cable hole, in this case its's placed on the rear pocket.